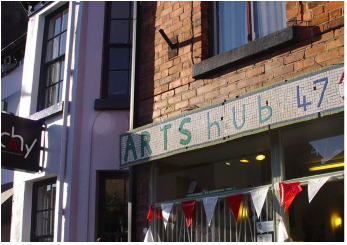 Bill Dawson is a Storyteller, Poet and Writer based in Liverpool, Merseyside, North West England. 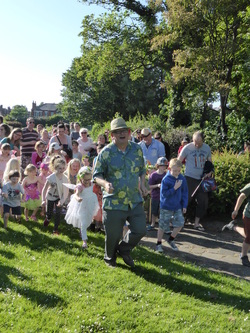 Midsummer Storytelling in Victoria Park, Crosby. Stories on the run are fun! 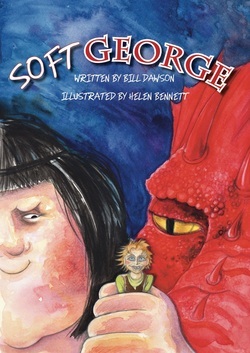 Go to Bill's site Damp Dog Books, if you'd like to read more about 'Soft George - A Liverpool Tale' and buy the book. Bill Dawson launched his book 'Soft George - A Liverpool Tale, illustrated by Helen Bennett, on Soft George's Day (Yes they have named a day after it! ), 23rd of April 2014. There were events throughout the day and the main event was at The Brink, Parr Street, where Bill and Helen answered questions, signed books and Bill told the story of Soft George - without whom there would be no Liverpool. Go to Bill's site Damp Dog Books, if you'd like to read more and buy the book. Fantastic day at Greenbank High School for Girls in Southport. Girls and staff all dressed up for World Book Day. Myths and Legends from around the world – Viking, Greek, Chinese, Persian, Egyptian… and Scouse! Tales to make you jump, to make you cry, to make you scream!